Santos have signed Andile Nqabeni and Mfanufuthi Dlamini from Moroka Swallows and Royal Eagles respectively. The duo made their debut for the National First Division outfit in a 1-0 loss to Witbank Spurs on Sunday. Santos assistant coach Keith America hopes the pair's experience will help the side reach the promotion play-offs. The People's Team are 10th in the second-tier standings with 18 points from 16 games - 11 points shy of reaching the play-off zone. Golden Arrows have signed winger Mahlatse Makudubela on loan until the end of the season from Platinum Stars. The 25-year-old, who played seven times in all competitions for Dikwena this campaign, will battle for game-time with Andile Fikizolo, Kudakwashe Mahachi and Deon Hotto in Durban. "Yes, it is loan deal from Platinum Stars until the end of the season," says Makudubela's agent Abbie Rasimphi. "I can't talk about other clubs who were interested in him, but Arrows showed great interest in the player." Thanda Royal Zulu have confirmed their interest in bringing back Phumelele ‘Ace’ Bhengu back to the club just six months after he left for SuperSport United. Bhengu top-scored in the First Division with 24 goals in 30 games in all competitions last season as he revived a career that had been sucked into obscurity. Moving back to the PSL was what Bhengu desired and it all happened with a move to SuperSport, but it has brought little joy for the 26-year-old as five substitute appearances is the only thing he has to show for his time in the capital city. Thembinkosi ‘Jomo’ Biyela, the Thanda general manager, has made no secret of their hopes of bringing back Bhengu. Thanda are in the bottom half of the standings in the NFD and desperate for a striker. Musa Bilankulu is in talks with his former club Golden Arrows. The 29-year-old looked to be closing in on a move to Maritzburg United after he was released by Bloemfontein Celtic last week. However, Arrows assistant coach Mandla Ncikazi said: "I wouldn't know whether they are signing him or not, but I heard they were negotiating with him. "But there is something going on I can tell you from the club, in engaging with the player." Bilankulu traded Abafana Bes'thende for Bidvest Wits in July 2013 before linking up with Phunya Sele Sele in January 2014, initially on a loan deal. The defender played over 50 games for Celtic, making 15 appearances this season. Maritzburg United have confirmed the signing of striker Gregory Maasdorp and left-back Tumelo Mogapi. 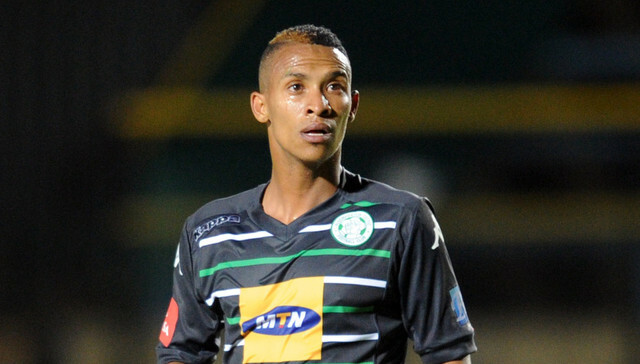 Both 27-year-old's were formerly on the books of Bloemfontein Celtic. "I understand their philosophy, so I believe I will fit in easily," Maasdorp told the club's website. “I have watched the recent games the team played. Very dangerous on the counter. Against Sundowns, we need to play with commitment the way we played against Pirates. I am convinced that we are not in the relegation zone for long.” The Team of Choice are propping up the Absa Premiership standings with eight points from 16 games, and next host Q2 winners Mamelodi Sundowns at Harry Gwala Stadium on Saturday. Mamelodi Sundowns are Absa Premiership Q2 winners after beating SuperSport United 2-0 on Saturday night. 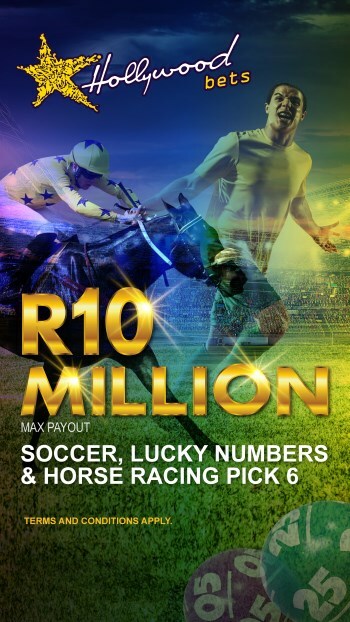 That result ensured the Brazilians won the R1.5-million prize, and in any case Mpumalanga Black Aces’ 1-0 defeat at University of Pretoria on Sunday meant they would have won it even if they had lost. Pitso Mosimane’s side won six out of seven games in Q2 and lost none, ending on 19 points. Aces came second with 15 points and Bidvest Wits third on 13 points. Only five clubs have won Q-Innovation since its inception at the start of the 2012/13 season. Sundowns have now pulled level with Kaizer Chiefs in winning it five times each, Platinum Stars have won it twice and Polokwane City and Bidvest Wits have each won it once. 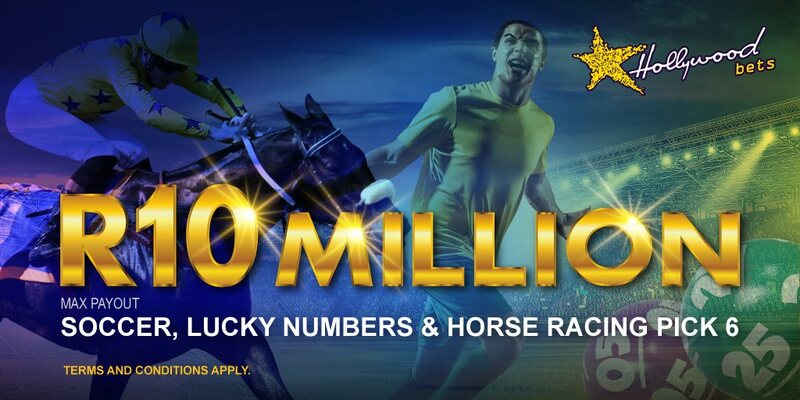 Wits won Q1 this season. University of Pretoria are set to swoop for former AmaZulu midfielder John Arwuah. The Ghanaian midfielder is back in the country after cutting short his stay in Cyprus with AEL Limassol due to financial problems. According to an official at AmaTuks, the club has already engaged in negotiations with the 30-year-old midfielder with the view of bringing the player to Tshwane this season. "We are talking to him. If things go well, he will sign a short term contract until June,” said the official. First Division campaigners Thanda Royal Zulu have completed the signing of former youth international midfielder Jabulani Ncubeni from Golden Arrows and released six players. Ncubeni joins Thanda on an 18-month contract after having gone in the opposite direction at the beginning of the season. The 25-year-old, who has also previously played for Maritzburg United and Bloemfontein Celtic, battled for game-time at Arrows leading to his return to Thanda. Thembinkosi ‘Jomo’ Biyela, the Thanda general manager, confirms the capture of Ncubeni along with the release of six players namely journeyman defender Phumlani Mhamha, Mncedisi Ndwandwe, Thabani Dube, Mandla Mdunge, Lindokuhle Mthembu and Mfundo Nsele. Thanda also recently signed Siyabonga Shoyisa and Marothi Diale. University of Pretoria have been offered the services of Levy Mokgothu but they are not convinced the out-of-favour Kaizer Chiefs left-back can help them out of their situation. Mokgothu is yet to feature in an official match for Chiefs since arriving at Naturena in June 2014 and Amakhosi are willing to allow him to move out on loan for the rest of the season to enable him a chance to get game-time. Tuks already passed on the chance to sign another left-back, Tumelo Letuka, following his departure from Golden Arrows while several players have been linked with the club amongst them Lebohang Mokoena, Lindokuhle Mbatha, Keegan Ritchie and Mario Booysen. 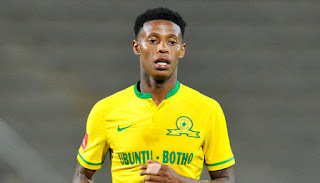 Mamelodi Sundowns midfielder Bongani Zungu has signed a two-year contract with Portuguese side Vitoria de Guimaraes FC, the player's agent has confirmed. Zungu's representative Steve Kapeluschnik yesterday announced his client would join Guimaraes in July, ending speculation over the Bafana Bafana international's future. Kapeluschnik has since revealed the duration of the deal, which was penned amid widescale interest in Zungu. "I can confirm that he has signed a two-year contract with Vitoria de Guimaraes FC," says Kapeluschnik. "There were offers from MSL, Italy, Germany and even locally but we opted for the deal with Guimaraes. "He will continue playing for Mamelodi Sundowns until the end of the season," he adds. Malawian midfielder Gerald Phiri Jnr remains in Bidvest Wits’ plans for next season despite the fact he will be loaned out for the rest of the season due to paperwork issues. Phiri was signed in July last year but wasn’t registered as the club weighed up the options of either taking up permanent residence for him due to one of his parents having been born in South Africa or bringing him in as a foreigner, which would call for a work permit. With the club now having exhausted its foreign quota for this season the 22-year-old will not be able to be registered as a foreigner. His permanent residence application is also still hanging, leaving him stuck for now and faced with the possibility of heading back to his former club CAPS United on loan if he fails to move locally. Wits have registered English striker James Keene, Burundian midfielder Papy Faty, Namibian attacker Wangu Gome, Kris Bright of New Zealand and Portuguese striker Joaquim Lupeta as their five foreign players for this season. Meanwhile, Wits have confirmed that Keaghan Jacobs remains part of their squad after returning from a long-term injury picked up at the beginning of the season. Zimbabwean defender Erick Chipeta has signed a two-year contract extension with Chippa United. Chipeta's previous deal was set to expire at the end of the season. “The club has a two-year option,” says a high-ranking official at the Chilli Boys. “We exercised it today and he is staying with the club.” The 25-year-old has started 13 of United's 14 league games this season, helping the club reach seventh spot in the standings. Chipet's commitment to the Port Elizabeth-based outfit comes as welcome news following the recent departure of star attackers Mark Mayamabela and William Twala. Mayambela has joined SuperSport United, while Twala linked up with Kaizer Chiefs last week. Bidvest Wits striker Phakamani Mahlambi and Mamelodi Sundowns coach Pitso Mosimane are the Absa Premiership's player and manager of the month for November/December. 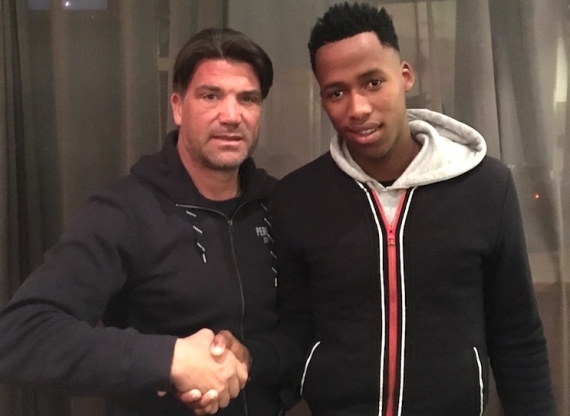 Mahlambi is enjoying a meteoric rise this season, as the 18-year-old has netted four league goals for the Students, while he also played a key role in the South Africa U-23 team's qualification for this year's Olympic Games. "I couldn't believe I was selected. I would like to thank the judges, coach Gavin Hunt and of course the players for supporting me," Mahlambi said on receiving his prize last Thursday. Mosimane has steered the Brazilians to Telkom Knockout honours and to the top of the league standings, with the club currently boasting a 14-game unbeaten streak in all competitions. "What can I say? I'm humbled, I appreciate that I've been selected. I don't think it was easy coming up with the name," said Mosimane. "I must thank the judges for selecting me. I want to congratulate Phakamani Mahlambi as well. He's a good football player." 'Jingles' added: "A lot of people contributed to this award, especially the players. I'm just a recipient of this award, on behalf of the club." Bidvest Wits have agreed a termination of contract with striker Thulani Ngcepe, who leaves after just 99 minutes of action for the club this season and returns to an uncertain future. The former teenage prodigy is again in the football wilderness just a day after his 26th birthday. Wits, who have confirmed his departure, had offered him a surprise chance to revive a dormant career at the start of the season when Hunt hauled him back from years without playing professionally. 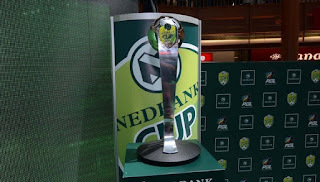 Ngcepe started the MTN8 semifinal against Ajax Cape Town and also a league match against Free State Stars in the opening weeks of the campaign but failed to make any impression and soon slipped down the pecking order. Hunt has showed a loyalty to many past players with Dane Klate, Elias Pelembe and Bongani Khumalo among those reviving past relationships with him at Wits this season. The coach’s relationship with Ngcepe goes back to their time at Moroka Swallows where the striker came on for his Swallows debut when he was five days shy of his 17th birthday in 2007. He started only a handful of games for the Birds but did earn a Nedbank Cup winner's medal after coming on a substitute in the 2009 final win over the University of Pretoria. Hunt took him to SuperSport United soon after but Ngcepe only ever played as a substitute and did not score any goals. The club let him go in mid-2011 after which he spent one year out of the game before Sivutsa Stars signed him to play in the National First Division two seasons ago, albeit for a brief spell. The Premier Soccer League has confirmed the eight SAFA clubs who have qualified for this season’s edition of the Nedbank Cup. The tournament will start in March. The SAFA clubs who have qualified are: EC Bees (Eastern Cape, ABC Motsepe League), Sibanye Golden Stars (Free State, ABC Motsepe League), African All Stars (Gauteng, ABC Motsepe League), Magesi FC (Limpopo, ABC Motsepe League), Milford FC (Kwa-Zulu Natal, ABC Motsepe League), Polokwane City Rovers (North West, ABC Motsepe League), Steenberg United (Western Cape, ABC Motsepe League) and United Rovers (Northern Cape, SAB League). The SAFA clubs join eight National First Division clubs, who qualified in December. The eight NFD clubs are: AmaZulu, Highlands Park, Mthatha Bucks, Moroka Swallows, Santos, Mbombela United, Baroka FC and Black Leopards. The 16 Absa Premiership clubs automatically qualify for the last round of 32. Golden Arrows have signed former Maritzburg United pair Veluyeke Zulu and Sandile Dlamini, as well as Siyanda Dlamini from the lower leagues. The trio have been added to Arrows' Multichoice Diski Challenge squad, which is under the watch of Vusumizi Vilakazi. "We brought them to strengthen our Diski team with the view in the future to promoting," says Abafana Bes'thende head coach Clinton Larsen. "We saw qualities in the two players we really like... the striker [Sandile Dlamini] and the defender Zulu. We believe that they have the qualities to be promoted in the future. "They have got to first ply their trade in the Diski team and we will monitor their performances from there. Zulu and Sandile Dlamini were relased by Maritzburg last week, with the former spending the second half of last season on loan at NFD side Royal Eagles. Siyanda Dlamini was recruited from Amaqhawe Ethekwini Coastal. First Division campaigners Royal Eagles have confirmed the release of a dozen players including former Mamelodi Sundowns defender Walter Maponyane and Tebogo Masaole, who was on loan from Orlando Pirates. All the players that have been allowed to leave were deemed excess to what coach Khabo Zondo required this season as he bids to move the ambitious Durban-based club towards reaching at least the promotion play-offs. The other players that have been shown the exit are Mfanafuthi Dlamini, Philani Dlamini, Tamon Litchfield, Mthokozisi Nene, Khulekani Ndlela, Mondli Miya, Junior Sekete, Mbuso Manyoni, Sabata Mosebo and Nkosingiphile Zondi. Costa Bellos, the general manager at Eagles, confirms the departure of all these players, most of whom have now been able to get other clubs in the First Division and the ABC Motsepe League. “The plan was to trim down the squad because we had 40 players and we are now down to about 28, though we are looking to beef up a bit with special talent. Luckily with most of the players that we released they are now with other clubs while those that we reached a mutual agreement to terminate their contracts they already have their clearances and free to join clubs of their choices,” says Bellos. The only new signing at the club so far is Thabo Moseki, who has joined from Free State Stars. Kagisho Dikgacoi was an unused substitute for Cardiff City as they were held 2-2 at home by Rotherham United in the Championship. Darren Keet put another dent in Andile Jali’s Belgian league title hopes when he helped Kortrijk to a 2-1 victory. Keet started the game but Jali, who missed the first game of 2016 with illness, came off the bench with 30 minutes to go. May Mahlangu scored his second goal in three matches for Belgian side Sint Truiden but was left disappointed after his team slipped to a 2-1 home loss against Westerlo. Kamohelo Mokotjo played for FC Twente in their 4-2 loss away at defending champions PSV Eindhoven in the Dutch league. He did at least get an assist for his team’s second goal. Dino Ndlovu came off the bench to help Cypriot side Anorthosis Famagusta to a 3-2 victory over fellow title hopefuls APOEL, the winner coming from a Pele penalty four minutes into injury-time. Anele Ngcongca helped his French Ligue 1 side Troyes to a first win of the league season at the 22nd attempt after a 3-1 success at Lille. The Bafana star continued his role at centre-back where he has won good reviews this season. Ayanda Patosi was dropped to the bench for Lokeren’s 1-1 draw at struggling Mouscron-Péruwelz. Thibang Phete got another taste of Portuguese league action when he came on for the final 10 minutes in a 3-3 draw at Belenenses. Steven Pienaar was an early substitute for Everton as they suffered a first ever league loss to Swansea City. ‘Schillo’ will be pleased that he has another hour of football under his belt. Tokelo Rantie was again missing for English Premier League side Bournemouth as they drew 1-1 at Sunderland. Thulani Serero played the last 10 minutes for Ajax Amsterdam as they won 1-0 at home to Vitesse to maintain their lead at the top of the table.